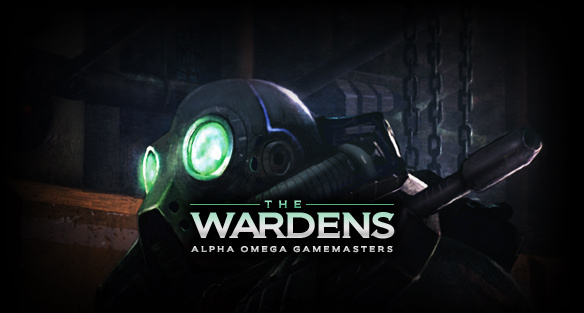 The Wardens are a select group of dedicated gamemasters that help promote the Alpha Omega game system and work to expand the player base. Wardens are volunteers that provide their services for their love of the game and a desire to share that passion with others. Wardens accomplish their goals by working with their local game store to host events such as game days where anyone can join in and play a demonstration game session of Alpha Omega. Wardens may also be asked to assist with gaming conventions or other special events in their area - hosting Alpha Omega events written by themselves or provided by Mind Storm Labs. Whenever they are called upon, Wardens execute their duties as professionals. They understand that their actions reflect not only upon themselves, but upon Mind Storm Labs and Alpha Omega as well. They always ensure that the players receive the best gaming experience possible, so that those same players will wish to return for more, and possibly bring some friends along to join in the fun. Send your name, age, and address, to the Community Development Officer at community@mindstormlabs.com. Our Community Development Officer will contact you about the next steps to become a Warden. You must be at least 16 years old to become a Warden - if you are legally considered a minor and accepted as a Warden, you will be required to provide a statement of consent from your legal guardian.